Yummy You! 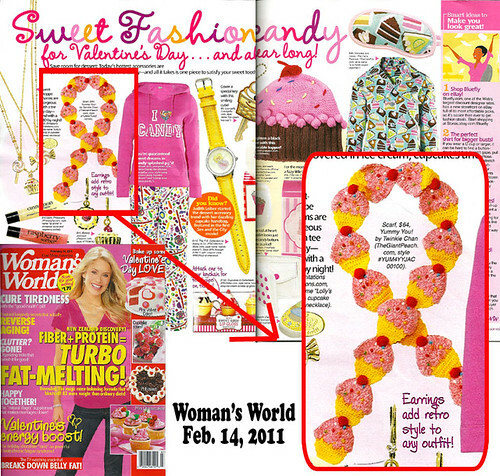 Cupcake Scarf is in the Valentine’s Day gift round up in Woman’s World Magazine! Pretty cool! 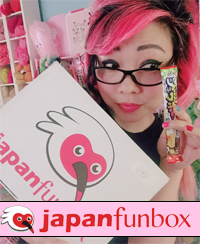 All the items in the round up are super cute! 14 Responses to Press Clip: Woman’s World! Thanks so much! I am hoping for even cooler announcements in 2011! I’m loving those necklaces! <3 Congratulations! 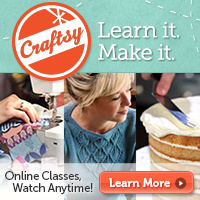 This is totally awesome!!!! I was shopping on david and goliath and their tee’s reminded me of your work! That’s fantastic!!! They picked up a super cute grouping didn’t they?? 🙂 Nice work!